Yes parents, its that time again, World Book Day is approaching fast and falls this Thursday. If your dressing box is looking tired, Angels Fancy Dress online have a range of adults and kids costumes to please even the pickiest person. Littlest is now 6 and actually takes an interest in certain characters, so the years before when I have craftily persuaded him to go as anything that made life easier for me have gone. 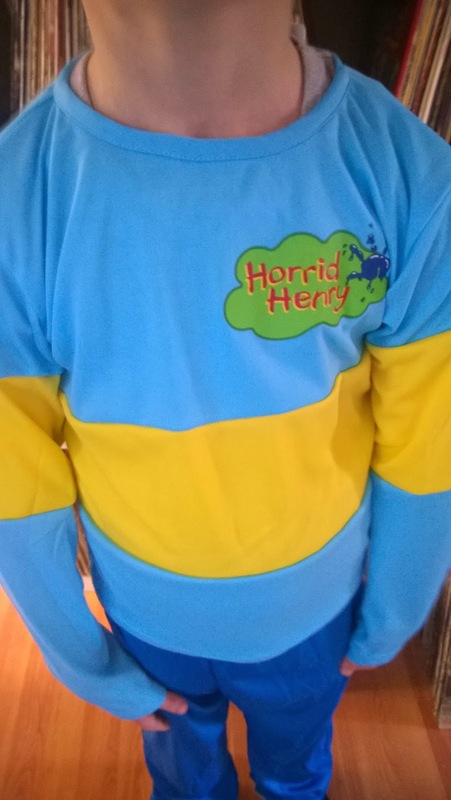 This year, he decided to go as Horrid Henry, who he watches intently. Angels Fancy Dress has a long history dressing the stars for parties and film roles, which gives the buyer reassurance that they are trustworthy and can deliver good quality costumes. They have a massive- no exaggeration- selection and if you can think of why you'd need an outfit, they can cover you with more than one option, in several different sizes too. We found the website very easy to navigate as its well set out and each section is labelled in first event then gender and age. The World Book Day selection is also vast, ranging from classics like Willy Wonka and Dorothy, to modern gems like Anna and Elsa of Frozen and Harry Potter. They range in priced from £33.99 for a reversible Cinderella costume to £9.99 for an Emperor costume which is still impressively detailed. Concerned you may have chosen something that everyone else will show up in? The site will helpfully tell you what the most popular costumes are if you set it to. 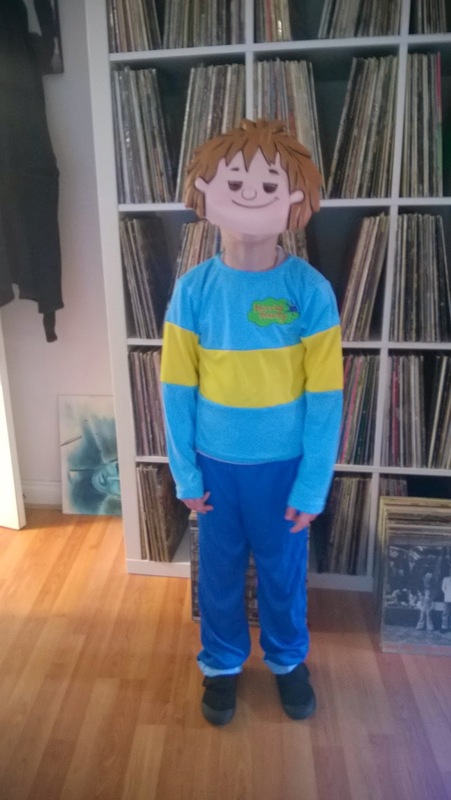 Our Horrid Henry costume was mid range at £19.99, and included separate trousers, top and foam mask, unlike some other versions which feature and all in one costume and flimsy mask. With Littlest, he would have trouble opening a back fastening all in one costume whilst wearing warm clothes underneath so this was a must for his costume. 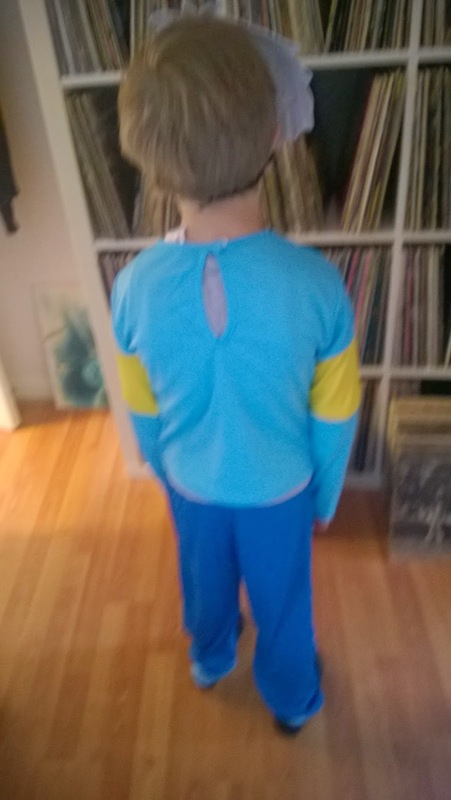 The costume was available in 3 different sizes, and we picked aged 7-8 so there was some extra room for warm clothes underneath. Its a great fit with plenty of growing room. 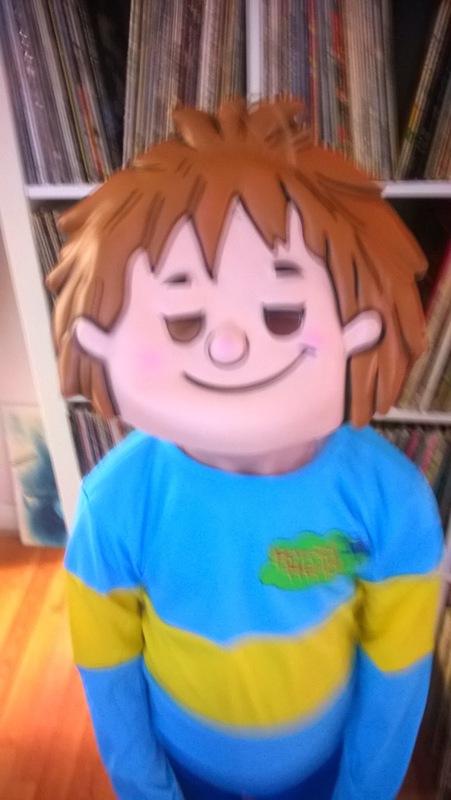 The costume itself is very good quality and Littlest is very happy with it, finding the mask comfy "its not scratchy on the edges like some masks Mummy" was his viewpoint. The site will help you pick out a size based on your needs using the helpful sizing guide, however the company do have a returns policy which gives 14 days as long as the item is unworn and still in its packaging. As for delivery, well, I don't think I've ever seen a more comprehensive list of options for such. Free delivery is offered for orders over £70, 3-5 day delivery is a modest £3.99, next day guaranteed tracked UK delivery is £8.50 and, should you want to go really last minute and you live within London you can pay £20 and get it the same day. Angels Fancy Dress is so sure they are the lowest priced provider they will refund you fully if you find the same item elsewhere cheaper. Overall, we have been very impressed with the service, ease of use of the website, and the standard of the costume. For easy World Book Day or last minute party needs, Angels Fancy Dress is well worth bookmarking.